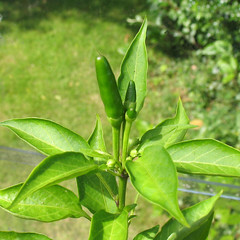 Nic, after reading about your Chili Chocolate on Zaar I checked it out in Waitrose the next time I was in. It is GORGEOUS! I am hooked as well! They had another one, also by Lindt, with a chili filling which I also tried and is very good too! What a lovely addiction! 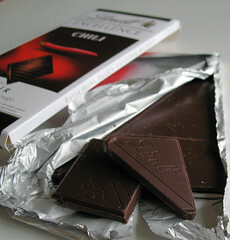 I was turned on to chili chocolate through entering a blogging event. It was the first time I had heard about it and now I see it everywhere. I am behind the times as usual!!!! Gosh, I cannot imagine a world without chocolate! !